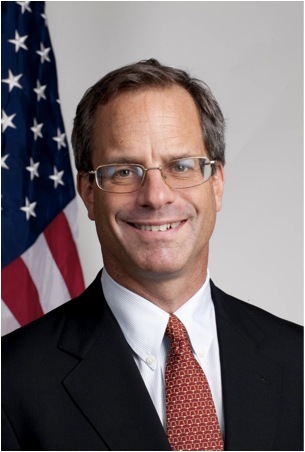 The Future of Privacy Forum congratulates our Senior Fellow, Peter Swire, on receiving the 2015 Privacy Leadership Award from the International Association of Privacy Professionals. Peter has worked with FPF since 2010 on a wide range of privacy and cyber-security issues, such as encryption, Big Data, and many more. His current work with FPF includes research on de-identification, Mutual Legal Assistance Treaties, and privacy for the Internet of Things. I am honored to receive this award and humbled to do so with many people in this audience who have inspired me and done so much to protect privacy internationally, and over so many years. My thanks to the IAPP, its Board, and Trevor Hughes for his amazing leadership. Isn’t this Summit amazing? This moment has led me to reflect on how I first became involved in privacy, and why. I would highlight four things. First, I have had a life-long fascination with the intersection of technology, policy, and law. I love science fiction, and I especially love stories about how people and societies respond to new technological challenges. In many ways that’s what we do as privacy professionals. Second, I love doing research. How can we make sense of the complex issues that face us? My first article on the law of the Internet was in 1993, and the issues have kept coming fast and furious ever since. Third, I am drawn to public service and solving real-world problems. Some of those experiences were mentioned in the introduction by Jim – my work as Chief Counselor for Privacy in the Clinton Administration, the efforts to craft a global DNT standard, and then President Obama’s Review Group on Intelligence and Communications Technology. Fourth, working on privacy gives me an opportunity to teach, and hopefully inspire, a new generation of students and privacy professionals. One great pleasure of attending IAPP functions is the opportunity to talk with former students and see how they have grown into leaders in their own right. Today and moving forward, I feel fortunate to be part of some amazing organizations, as we study and address some of the most pressing privacy problems in the world. First, is Georgia Tech, my new home since 2013. Each fall I co-teach a privacy and technology course with the one and only Annie Antón. One exciting part about being at Georgia Tech is the work we are doing to bring technologists and engineers together with law and policy — and we have multiple research streams on IoT, cybersecurity, and numerous other topics. Second, I recently started as a Senior Counsel with Alston & Bird. Jim Harvey and David Keating lead an outstanding team of privacy and cyber lawyers. I am excited to be solving real-world problems for clients in this new setting. I welcome all of you to come speak with us if we can be of assistance. Next, I continue as a fellow with the Future of Privacy Forum. Jules Polonetsky leads the day-to-day efforts with his incredible energy and intelligence, including a growing list of successful self-regulatory agreements. Chris Wolf, the other co-founder, many of you know for the grace, class, and insight he brings to every endeavor. Finally, on the list of organizations I am proud to be affiliated with, the Center for Democracy and Technology this year welcomed Nuala O’Connor as its new leader. I was on a panel just yesterday with Nuala, and it will be exciting for all of us to see where she will lead. A passion for research, solving practical problems, providing thought leadership, and articulating moral vision – those are themes, I hope, for the work of many of you in this audience. We are fortunate to be privacy professionals in this era when privacy is at the center of so many important debates in our society. My thanks to the IAPP for this award today. My bigger thanks to all of you for what we can build together in the years to come.